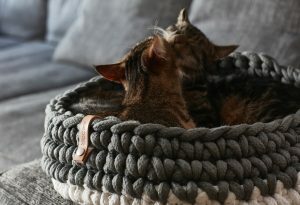 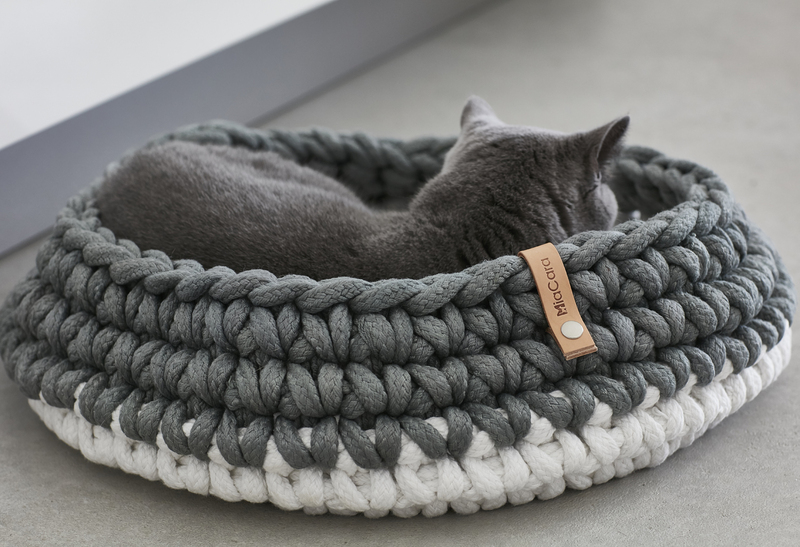 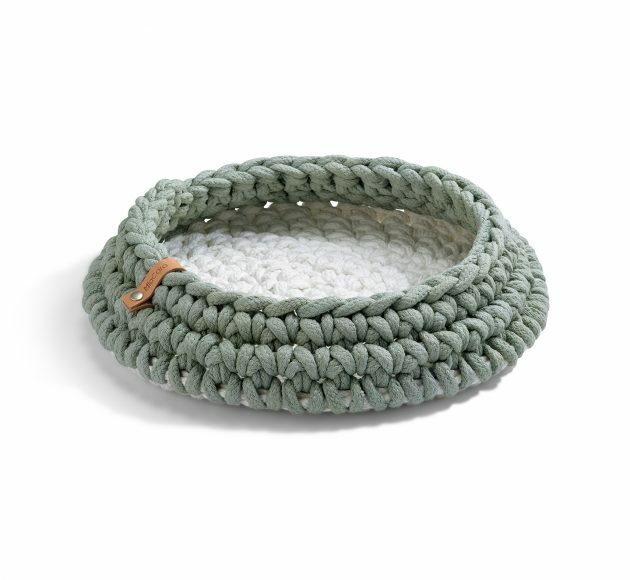 Crocheted cat basket made from ultra-thick textile yarn. 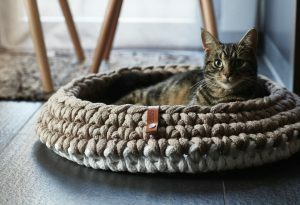 Treat your favourite feline to a cosy and contemporary sleeping spot with the beautiful Nido Cat Basket. 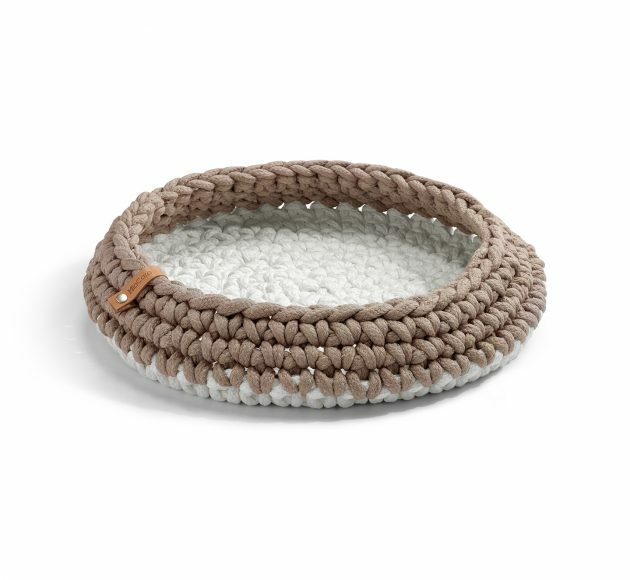 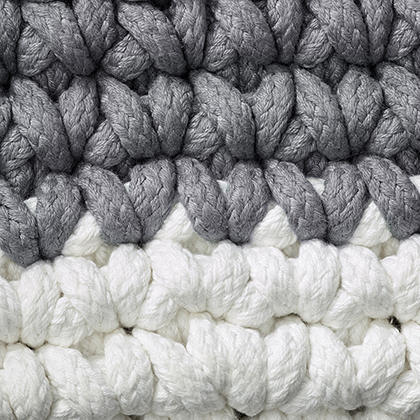 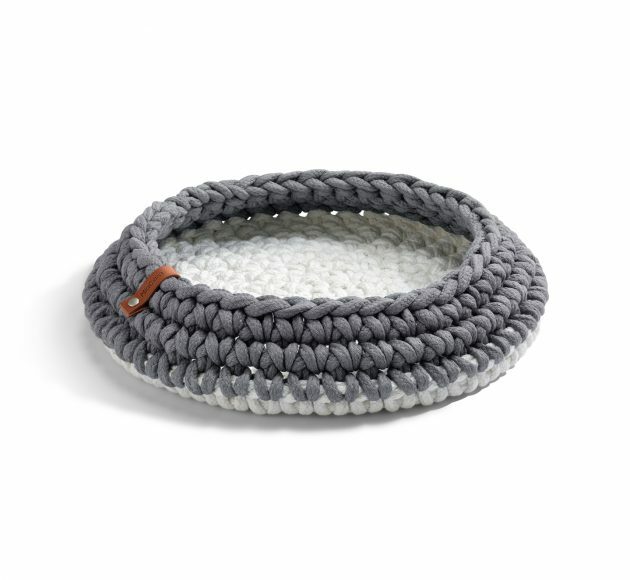 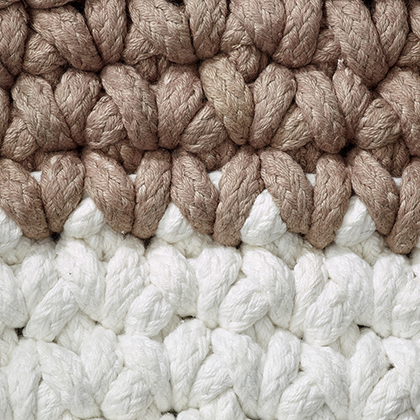 Created for MiaCara by Dutch designer, Regina Mol, the Nido is a bell-shaped crocheted basket made from ultra-thick textile yarn. 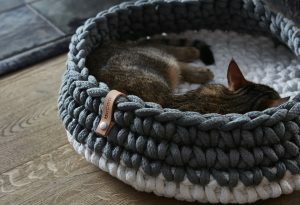 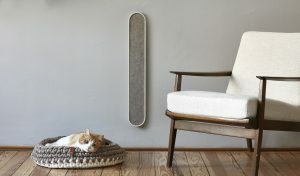 The tapered top and luxe material provides the perfect protective shape and sumptuous softness that cats simply adore. 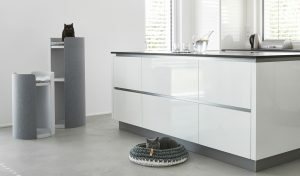 The Nido is also a stylish accessory for your home – with a two-tone construction, pared-pack colour palette and natural leather label. 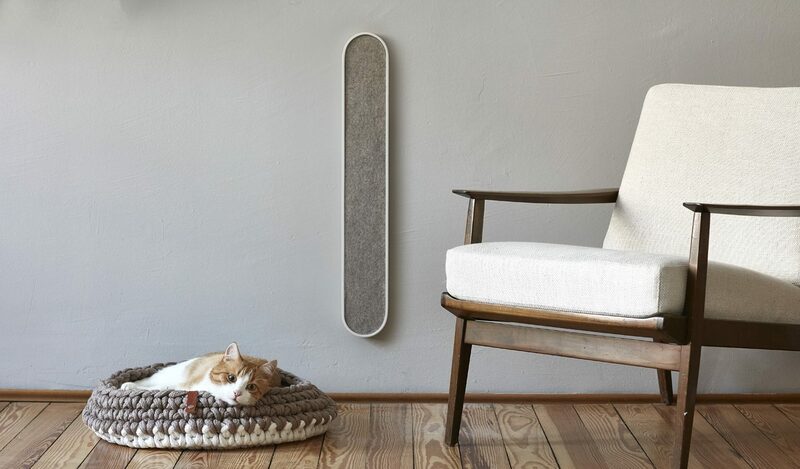 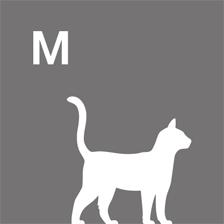 Regardless of where your cat likes to sleep, it will look gorgeous anywhere in the home – on the floor, the couch or by a sunny window ledge. 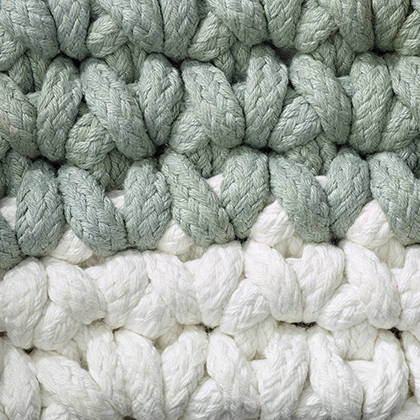 Stains can be carefully removed with a damp cloth. Please do not wash in the machine. Nido is available in one size.